OKLAHOMA CITY (Feb. 28, 2019) – The State Board of Education (SBE) today approved release of the 2018 Oklahoma School Report Cards, introducing a school accountability system that corrects flaws in past iterations and provides a more comprehensive view of schools. They are available at http://oklaschools.com. Under the federal Every Student Succeeds Act (ESSA) and a 2016 state law, House Bill 3218, the Oklahoma State Department of Education (OSDE) was required to develop a new school accountability system. State Superintendent of Public Instruction Joy Hofmeister then convened a 95-member task force representing a diverse range of education stakeholders to rethink how the state measures school performance. The resulting accountability system has moved from static, one-page documents focused on a single letter grade to an interactive, user-friendly dashboard-based platform that provides a snapshot of multiple aspects of school and student performance. The new system measures up to four metrics, or indicators, for elementary and middle school sites and, for high schools, up to five indicators, plus an overall grade. 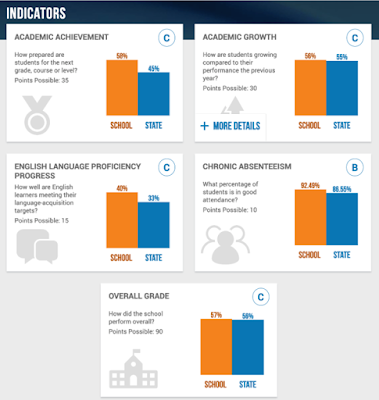 The elementary/middle school indicators include academic achievement and English language proficiency (ELPA) progress for English learners, both required under ESSA; academic growth, which meets the ESSA requirement for a second academic indicator; and chronic absenteeism, one of the state’s two required nonacademic indicators of school quality or school success. High schools measure academic achievement, ELPA, chronic absenteeism, graduation and postsecondary opportunities, the state’s other nonacademic indicator. For additional information on each accountability indicator, click here. Oklaschools.com is searchable by school, district address or county. 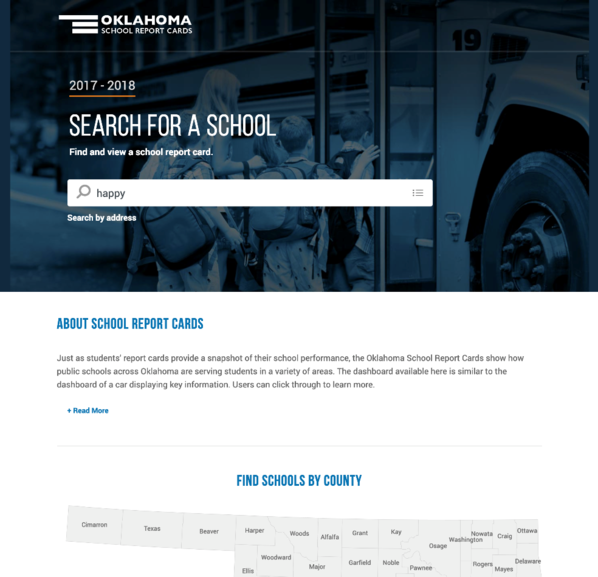 Once a school has been selected, an overview page displays school information, while an additional click yields more contextual information, including school demographics and a breakdown of indicator scores for each federally recognized demographic group and comparisons to the district and state average. As required under ESSA, academic achievement and academic growth account for the highest number of possible points. Moreover, academic achievement in math, English language arts (ELA) and science is now measured on the basis of two factors – the degree to which students are meeting individual group targets as they work toward proficiency (14/15ths of the score) and the percentage of students reaching proficiency (1/15th of the score). That is by design, said Hofmeister. A priority student group determines a student’s target score. Unlike in the previous system, students are counted only once to ensure that every student contributes equally to the indicator. Academic growth measures the performance of individual students in consecutive years in mathematics or ELA. For the first time, schools will be recognized for the movement of all students in performance from one year to the next. The old report card oversimplified the complex work of schools to a single letter grade, and critics decried low grades as no more than indicators of poverty. 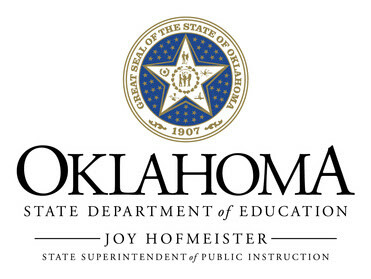 Hofmeister said that the new accountability system is a work in progress that will improve over time, but she is encouraged by early comparison data between the 2016 report card and the 2018 Oklahoma School Report Card that shows a nearly 40 percent decrease in correlation between the overall and academic achievement scores and poverty, and a nearly 50 percent decrease in correlation between the academic growth score and poverty. “We know the world outside the classroom – where many of our students endure significant trauma, hunger and hardship – impacts the world inside the classroom,” she said. “Schools are working hard to meet students where they are and help move them toward a successful life after high school. OSDE will add contextual information as it becomes available. Among the additions are per-pupil expenditures, educator qualifications and statewide Programs of Excellence that, beginning next school year, will emphasize the importance of a well-rounded education and recognize schools making progress in the fine arts, STEM, social studies/civics, safe and healthy schools and world languages. To see accountability resources, including e-learning modules devoted to each indicator and various data tables, click here. Following Governor Stitt's signing of the Constitutional Carry bill yesterday, his office sent out the following press release. I'm also posting the reaction from House Minority Leader Emily Virgin, underneath Stitt's statement. 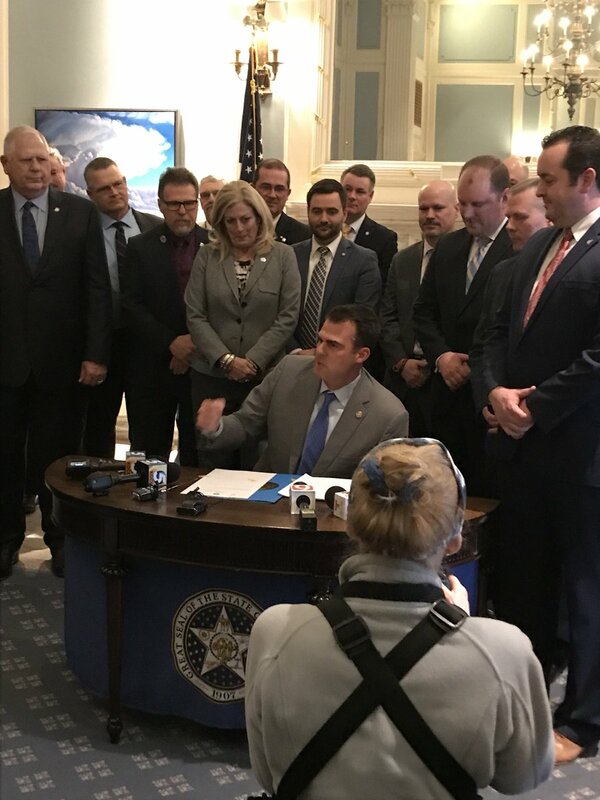 Oklahoma City, Okla. (February 27, 2019) – Governor Kevin Stitt today signed House Bill 2597, which establishes “Constitutional Carry” in the state of Oklahoma. HB 2597 establishes “Constitutional Carry,” allowing the concealed or unconcealed carry of firearms by any person who is at least twenty-one years of age or at least eighteen years of age and in the military, if the person is not otherwise disqualified to purchase a firearm. Under the bill, you cannot carry a concealed or unconcealed handgun in public and private schools K-college, public or private sports arenas, gambling facilities, government buildings, and private businesses, unless allowed by owner. The bill maintains current law that you must pass a background check to purchase a gun. The bill maintains current law that you must disclose guns in your possession when requested by law enforcement officer. The bill maintains current law that those convicted with a felony cannot own or buy a gun. Gun owners can still obtain a license in Oklahoma, with reciprocity recognized in multiple states across the nation. HB 2597 goes into effect November 1, 2019. 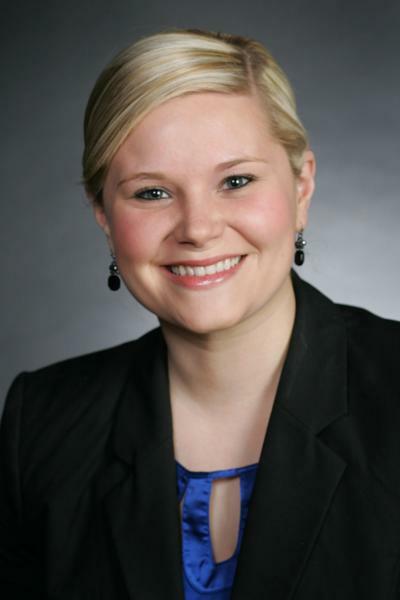 OKLAHOMA CITY – House Minority Leader Emily Virgin (D-Norman) released the following statement after Gov. 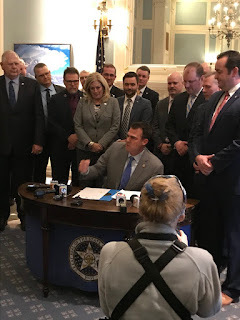 Kevin Stitt signed permitless carry legislation into law today. 2003 Alaska adopted permit less carry by 2017 their rates of assault with a firearm increased by 82%. 2010 Arizona adopted permit less carry by 2017 their rates of assault with a firearm increased by 39%. 2017 Missouri adopted permit less carry and St. Louis saw a 25% increase in assault with a firearm compared to 2016. 88% of Americans think you should get a permit before carrying a handgun in public. Governor Kevin Stitt has signed his first bill into law, applying his signature to House Bill 2597 ("Constitutional Carry") a short while ago at a bill signing ceremony at the State Capitol. 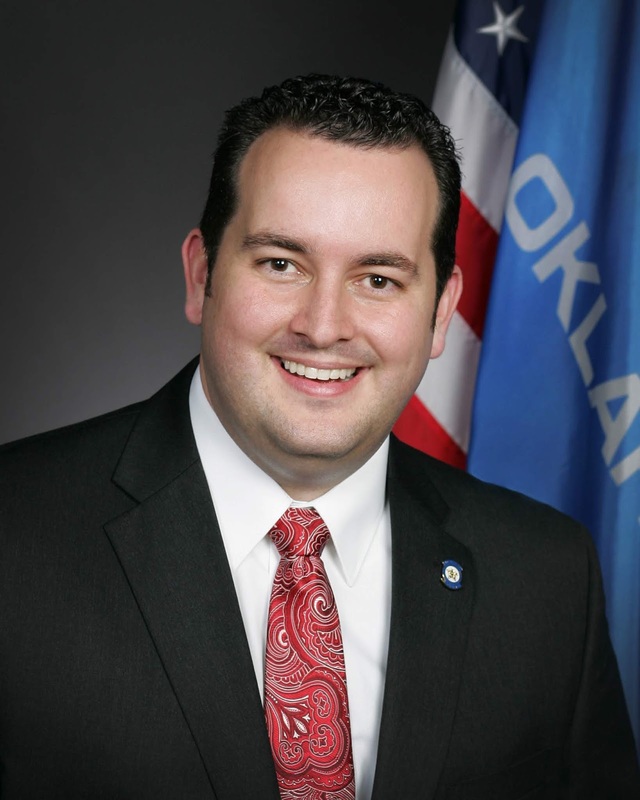 OKLAHOMA CITY – The Oklahoma Senate on Wednesday sent the constitutional carry bill to the governor’s desk. House Bill 2597, authored in the Senate by Majority Floor Leader Kim David, was approved with a bipartisan vote of 40-6. Permits Oklahomans age 21 and older to carry a firearm without a permit. Permits veterans, active duty, and reserve military age 18 and over to carry without a permit. Prohibits felons and those with domestic violence convictions or who have been adjudicated as having a mental illness from carrying a firearm. Additionally, the bill maintains current protections allowing private property owners to prohibit firearms from being carried onto their property. The bill also maintains the ability of higher education institutions to set their own policies regarding the carrying of firearms on campuses. Upon the governor’s signature, Oklahoma would become the 16th state to allow constitutional carry. The citizens of the 15 states where constitutional carry is allowed can carry without a permit in Oklahoma. Bordering constitutional carry states include Kansas, Arkansas, and Missouri. “This is great legislation that enhances and strengthens both Second Amendment rights and private property rights of Oklahomans. This bill also grants the same rights and trust to Oklahomans that the citizens of 15 other states have had in our state for years. I appreciate the members of the Senate for sending this measure to the governor’s desk and look forward to it being signed into law,” said David, R-Porter. “Second Amendment rights and property rights are not mutually exclusive, and this bill strikes the right balance to strengthen and enhance both rights of Oklahoma citizens. 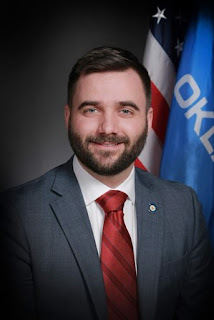 I congratulate Senator Kim David on all of her hard work in getting this bill through the legislative process and look forward to it gaining the governor’s signature,” said Senate President Pro Tempore Greg Treat, R-Oklahoma City. On Wednesday, the Oklahoma State Senate passed House Bill 2597, which would restore 2nd Amendment Rights for law-abiding Oklahomans by enacting Constitutional Carry in Oklahoma. Sen. Nathan Dahm, R-Broken Arrow, released the following statement regarding passage of the measure. HB2597 would keep the existing licensing option for those who choose to use that path and would also create the ability for law-abiding citizens 21 and up or military members 18 and up to legally carry a firearm for self-defense without that requirement. Thirteen other states have already enacted Constitutional Carry laws with South Dakota passing it just last month. Oklahoma law currently allows the citizens of those states to exercise their Constitutional Carry rights in Oklahoma and HB2597 would extend that same right to law-abiding Oklahomans as well. 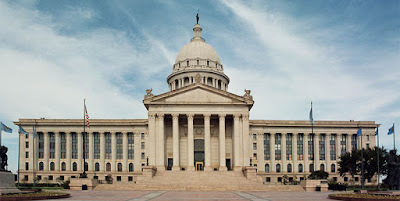 OKLAHOMA CITY, OK (February 26, 2019) – The 1889 Institute, an Oklahoma state policy think tank, has published “Music Therapist Licensure in Oklahoma.” It finds no public interest justification for the continued licensure of music therapists. Only 8 states even regulate music therapists, with two of these requiring only registration. Even the Music Therapy Committee within Oklahoma’s State Board of Medical Licensure and Supervision has stated that there are less restrictive, but effective, means of regulating music therapy. “I suppose if there were evidence of widespread abuse of patients’ auditory nerves through excessively loud or tedious music, there might be a case for licensing music therapists,” said Benjamin M. Lepak, Legal Fellow for the 1889 Institute, and author of the report. “Risk for a patient in music therapy is already low, and there are means like the American Music Therapy Association’s private certification, to reduce even that risk without government intervention,” he said. This latest short study, part of the 1889 Institute’s Licensing Directory for Oklahoma, explains that neither of two conditions that must simultaneously exist to justify occupational licensing are present for music therapists. These conditions are, first, that there must be real, significant risk for patrons, and, second, there must be little or no market and legal incentives for service providers to take proper precautions. The 1889 Institute has repeatedly found that Oklahoma needlessly licenses occupations, including funeral directors and embalmers, electrologists (hair removal), cosmetology/barbering, pedorthists (foot orthotics), social workers, and locksmiths. This state is often one of only a handful licensing certain occupations, and often does so in particularly onerous ways. Thus far, Oklahoma legislators have as often responded with bills to license more occupations as to attempt, in any way, to eliminate this needlessly onerous form of regulation. The 1889 Institute is an Oklahoma think tank committed to independent, principled state policy fostering limited and responsible government, free enterprise and a robust civil society. The publication, “Music Therapist Licensure in Oklahoma” and other reports on licensing can be found on the nonprofit’s website at https://1889institute.org/licensing. Oklahoma City, Okla. (February 26, 2019) – Governor Kevin Stitt announced today the appointment of Kelly E. Doyle, Adam Luck, and Robert Gilliland to the Oklahoma Pardon and Parole Board. Kelly Doyle will fill one of the positions that requires five years of experience or training in mental health services, substance abuse services or social work on the Pardon and Parole Board. As the Deputy Executive Director at the Center for Employment Opportunities (CEO), Kelly oversees CEO’s program and operations in Oklahoma, Ohio, Michigan, and Colorado. Since joining CEO in 2011, Kelly has led the launch of nine CEO offices - assisting communities as they increase employment opportunities for people coming home from prison and jails. Kelly has been working in the employment reentry field for over ten years. Prior to coming to CEO, Kelly managed the Department of Labor’s Prisoner Reentry Initiative through the Community Service Council in Tulsa. She began her career in finance and administration for an international aid agency completing tours in Darfur, South Sudan, and the hurricane-affected areas of Louisiana and Mississippi. Kelly holds an M.A. from University of Chicago and a B.S. from the University of Montana. Adam Luck is the Chief Executive Officer of City Care, a non-profit organization seeking to inspire those willing to look social injustice and extreme poverty in the face and empower them to do whatever it takes to create change. City Care has built and manages 114 units of permanent supportive housing in Oklahoma City, operates the Oklahoma City day shelter in partnership with the Homeless Alliance, and oversees the Whiz Kids program. He is an Oklahoma native and left the state to serve five years in the U.S. Air Force as a Korean Cryptologic Linguist. He has a bachelor of science degree in Global Security and Intelligence Studies from Embry-Riddle Aeronautical University and a Master of Public Policy degree from Harvard University. Adam served as a member of the Oklahoma State Board of Corrections and serves on the Board of Trustees for the Center for Employment Opportunities, a national non-profit that provides comprehensive employment services to individuals with recent criminal convictions. 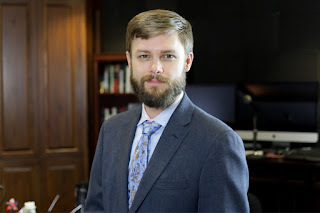 Prior to joining City Care, Adam served as the Policy Director at the E Foundation for Oklahoma and the Oklahoma state director for Right on Crime, an initiative of the Texas Public Policy Foundation focused on criminal justice reform. Robert Gilliland is a veteran trial lawyer whose prior practice concentrated in the area of business litigation in both state and federal courts. Following his admission to the Oklahoma Bar, Gilliland served four years as a captain in the Judge Advocate General’s Corps of the US Army in the United States and the Republic of Vietnam. Throughout his legal career, both while serving in the US Army and while in private practice, Gilliland represented numerous defendants in criminal trials, and also served as a prosecuting attorney while in the JAG Corps. Gilliland holds the distinction of being one of only a handful of lawyers in the United States to be selected for continuous inclusion in the Best Lawyers in America since the publication’s debut in 1983. 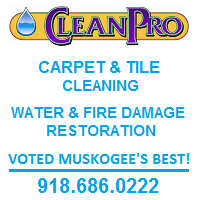 He was also perennially named to Oklahoma Super Lawyers. Some of Gilliland’s achievements include JD, University of Oklahoma, 1966; Board of Editors, Oklahoma Law Review; Phi Alpha Delta, and a BA, Texas Christian University. Admissions include: Oklahoma, 1966; US District Courts for the Western, Northern, and Eastern Districts of Oklahoma; US Court of Appeals for the Tenth Circuit; US Court of Appeals for the Federal Circuit; US Tax Court; US Court of Claims; and the US Supreme Court. Gilliland served as the Chair of the Oklahoma Workers’ Compensation Commission from June 1, 2015 to August 25, 2017. The Oklahoma Pardon and Parole Board serves the citizens of Oklahoma by making careful and informed decisions, focusing on public safety, offender accountability and re-entry, and victim rights. The Oklahoma Pardon and Parole Board envisions a parole and pardon system that promotes and utilizes fair and equitable decision-making, reduces risk to the public, includes victim concerns, and encourages successful inmate re-entry. The Board strongly believes and is committed to the ethical, unbiased, and professional performance of duties and continually strives for excellence and fairness by making decisions that maintain a delicate balance between public safety, victim’s rights, and the successful re-integration of the offender. 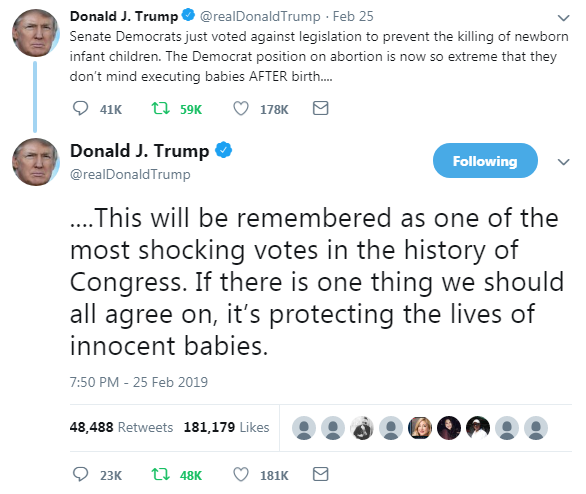 The utter depths of depravity of today's Democratic Party was on full display yesterday, as U.S. Senate Democrats voted to defend actual, literal infanticide. Period, end of sentence. Pure, undisputed infanticide is supported by today's Democratic Party. Now, I consider abortion in and of itself to be infanticide, but for the sake of the argument let's dismiss that aspect of the debate. U.S. Senator Ben Sasse (R-NE) authored the Born-Alive Abortion Survivors Protection Act to protect infants who have survived an abortion and been born alive. 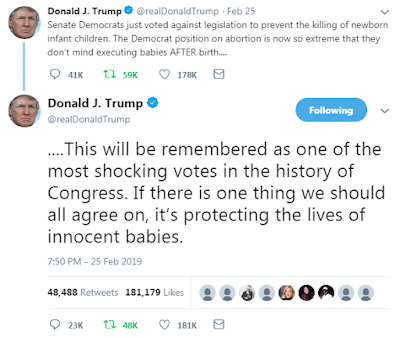 Apparently, 44 Senate Democrats - including at least six presidential candidates - can't bring themselves to recognize the undisputed humanity of even those babies who have been born. 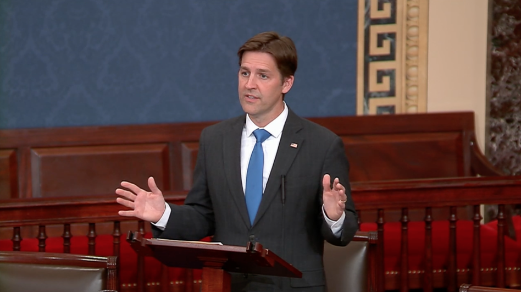 February 25, 2019 -- Today, despite receiving the support of a bipartisan majority of the United States Senate, Senator Sasse’s Born-Alive Abortion Survivors Protection Act failed to receive 60 votes to break a Democratic filibuster. The final roll call vote was 53-44. Senate Bill 13 by Sen. Joseph Silk has been the strongest measure filed in recent years when it comes to combating and ending abortion in Oklahoma. Silk's Abolition of Abortion in Oklahoma Act aims to return Oklahoma back to pre-Roe v. Wade statutes (that are still on the books) that made abortion illegal. Silk and SB13 proponents argue that abortion can be attacked in the same way that states across the nation, including Oklahoma, are defying federal law on marijuana and immigration. Senate leadership disagrees, and is unwilling to even consider the possibility of pursuing that avenue -- while at the same time they are creating a regulatory framework for medical marijuana in spite of federal law otherwise. Senate President Pro Tem Greg Treat and Senate Health & Human Services Committee Chairman Jason Smalley have shelved Silk's bill, and will not allow it to be advanced through the legislative process. In what feels like an attempt to appease, Senate President Pro Tem Greg Treat authored an alternative bill to Sen. Silk's SB13. Treat's Senate Bill 195 is a "trigger bill", and would only go into effect if Roe v. Wade gets overturned or Congress passes a constitutional amendment returning abortion law to the states. Treat's measure is a check-the-box move in case some other state makes the first move that leads to the end of Roe v. Wade, and it certainly seems to be an afterthought. If it was really a priority, why wasn't this authored until Silk's bill started to garner attention? 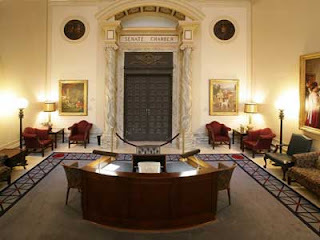 OKLAHOMA CITY – The Senate Health and Human Services Committee approved with an 11-4 vote a bill from President Pro Tempore Greg Treat that would prohibit abortion in Oklahoma when the U.S. Supreme Court overturns Roe v. Wade or if the U.S. Constitution is amended. “Oklahoma is a pro-life state and Oklahomans have repeatedly made it clear they want their elected officials to protect the life of the unborn. Senate Bill 195 would prohibit abortion in Oklahoma, with the exception for the life of the mother, when Roe v. Wade is overturned or when the U.S. Constitution is amended. I appreciate the members of the Senate Health and Human Services Committee for advancing this important piece of legislation,” said Treat, R-Oklahoma City. Treat said there are several lawsuits challenging Roe and other federal cases legalizing abortion currently in the federal court system. “The U.S. Supreme Court at any time could choose to revisit any one of the current lawsuits challenging Roe v. Wade. 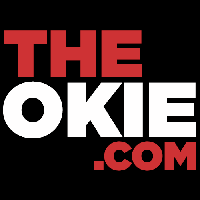 Senate Bill 195 is an important step Oklahoma should take immediately to protect the lives of the unborn when that terrible decision of the U.S. Supreme Court is overturned,” Treat said. Abortion has been a felony in Oklahoma since 1910 but that statute has been unenforceable since 1973 when the U.S. Supreme Court legalized abortion. Since then, Oklahoma has enacted pro-life policies that have successfully saved lives and reduced abortions performed in the state. Those regulations would be rendered unnecessary when Roe is overturned because the 1910 law then would be enforceable. By removing abortion regulations from Oklahoma statutes, Senate Bill 195 would eliminate any statutory conflicts between. Five other states have adopted laws similar to Senate Bill 195, and other states are considering similar measures. School boundary lines are moving in Oklahoma’s largest school district. A smaller district, Deer Creek, is shifting lines as well. These changes are tough on kids and on those families who purchased a house to be within a particular school’s boundaries. A child who attends one school today may wind up assigned to a different school in August. One thing these changes have in common: they are not about what is best for each child. The only determining factor is where a child happens to live. Are we really stuck doing school this way? Some things have to be this way. Electricity travels on wires that connect each house to a generating plant. Piped-in natural gas requires buried pipes. Utilities like these leave us with one provider based on where we live. As monopolies, they have lots of power over consumers and are heavily regulated by government. Telephone service used to be this way. There was one provider based on which wires reached a particular house, at least until the era of cell phones. Today, we have choices. It would make no sense to assign you a cell phone carrier based on your neighborhood. Education services are a little like telephone services. Before cars and buses, students needed a school within walking distance. Before modern technology, teaching had to be done in person. Schools were built to pack students in a room with a teacher. In the factory era, schools were designed to be education factories (and to produce good factory workers). During all this time, where we lived determine where we went to school. Times have changed. Oklahoma’s population has grown, becoming more urban and suburban, and much more diverse. This means that while the needs of children have become more varied, most people also live within reach of multiple schools. At the same time, the inefficiency of factory-style education in diverse urban areas is becoming obvious: costs go up, outcomes go down. Like the first cell phone providers, some disruptive schools are on the scene. Positive Tomorrows is for children whose families are homeless. Trinity School helps kids with autism and dyslexia. Families who want a rigorous classical education can choose one of three campuses, and either a full-time or part-time program, at The Academy of Classical Christian Studies. In some cases, Oklahoma state law helps families choose these innovators. Children with special needs can receive a Lindsey Nicole Henry Scholarship, redirecting their state funding to attend a school like Trinity. The Equal Opportunity Education Scholarship Act gives a tax benefit to donors who help low-income families choose these kinds of schools. Expanding these programs is the best way to modernize Oklahoma education. Debates over where to draw school boundary lines are vestiges of the past and reminders of how far we have left to go. 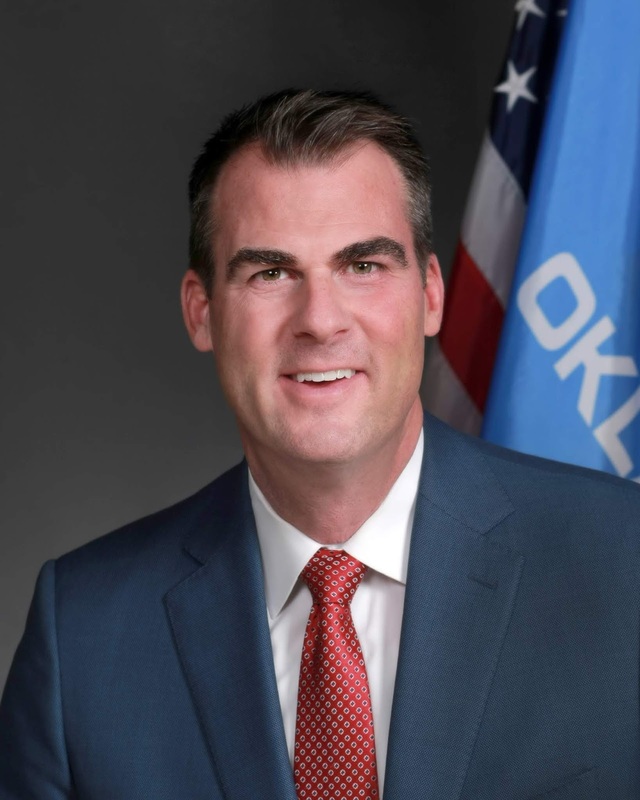 Oklahoma City, Okla. (February 21, 2019) – Governor Kevin Stitt announced today the appointment of two new cabinet members, Chip Keating as the Secretary of Public Safety and Brian Brurud as the Secretary of Veterans Affairs and Military. Both cabinet members will serve in an unpaid capacity and both positions require Senate confirmation. Anthony Francis “Chip” Keating III, 39, has been a principal with Keating Investments, a real estate and oil and gas investment company, since March 2010. Keating served as an Oklahoma State Trooper from May 2001 to August 2004 and is a Director and Gubernatorial appointee of the Oklahoma Law Enforcement Retirement System. He currently serves as a board member and immediate past president of The Children’s Hospital Foundation, Secretary of University Hospitals Authority Trust appointed by the Pro Temp of the Oklahoma State Senate and a director of OU Medicine, Inc. Mr. Keating holds a Bachelor of Business Administration from Southern Methodist University. Brian Brurud is a former commercial airline pilot who currently serves as the CEO of Check-6 Inc, a global performance leadership consultancy comprised exclusively of carrier fighter pilots, Special-Operations operatives, and Astronauts. Prior to this, Brurud served 21 years as a fighter pilot for the Navy and Air National Guard, flying F-14, F/A-18, and F-16 aircraft. As one of the most decorated US Naval Fighter Pilots since the Vietnam War, Brurud has extensive experience in the US Military and the private business sectors. He was instrumental in bringing US Naval Carrier Aviation into the 21st Century; authoring numerous classified tactical publications and developing culture changing training systems, and tactics. For his combat actions, he was awarded the Silver Star, Bronze Star, Distinguished Flying Cross, and numerous Air Medals. Brurud holds a Bachelor of Science in Geology from Oklahoma State University. 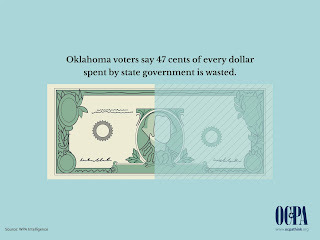 OKLAHOMA CITY, OK (February 20, 2019) – Oklahoma has recently prioritized becoming a Top-ten State, but has yet to precisely define that metric. In that spirit, the 1889 Institute, an Oklahoma state policy think tank, has published “Ten Top Tens: State Rankings Worth Pursuing.” This publication identifies ten broad policy categories worth pursuing by a state looking for top-ten status. Specific valid metrics for which states can be meaningfully ranked are identified for each category. Also highlighted are some specific rankings which are popular and often cited by media, but which are not valid for public policy purposes. The ten areas where state government can at least indirectly have a measurable, positive impact, as identified by the 1889 Institute, are: education, economic well-being, economic neutrality, government efficiency and accountability, regulation, health, transportation effectiveness, court systems, public safety, and recreation. “We looked at each of these areas and recognized that they are too broad and complex to be boiled down to a single metric for ranking all the states,” said the study’s primary author, Michael R. Davis, Research Fellow at the 1889 Institute. “We also wanted to contrast sound rankings with rankings where being at the top is actually a bad sign for a state’s long term economic health. It’s disturbing how much good press some of them get,” he said. Coauthor Vance Fried, Senior Fellow at the Institute and Professor Emeritus in Free Enterprise at Oklahoma State University, said that many state rankings he has seen make the news, but have no validity in public policy. “There are so many rankings that equate spending with quality,” said Fried, “but this assumes more and better outcomes just based on dollars spent.” “Any state’s goal should be to spend the least in an area and get the best results, but when states are ranked purely on spending, it’s as if we are trying to spend the most, but results don’t matter,” he said. One area focused on was education, with valid rankings to include: academic performance adjusted for demographics, cost effectiveness of public education, and average cost of a 4-year college degree. Invalid measures include: average teacher salary, spending per student, and pre-K enrollment levels. The 1889 Institute is an Oklahoma think tank committed to independent, principled state policy fostering limited and responsible government, free enterprise and a robust civil society. The publication, “Ten Top Tens: State Rankings Worth Pursuing” can be found on the nonprofit’s website at https://1889institute.org/fiscal-policy. OKLAHOMA CITY – The Senate Appropriations Committee on Wednesday overwhelmingly approved a bill by Majority Floor Leader Kim David that would permit Oklahomans to carry firearms without a permit. The committee voted 18-4 for the so-called “constitutional carry” bill and sent the measure on to be considered by the entire Senate. 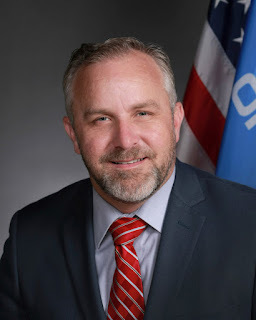 House Bill 2597 by David and Representative Jon Echols, R-Oklahoma City, would permit Oklahomans age 21 and older to carry a firearm without a permit. Veterans, active duty, and reserve military age 18 and over would be allowed to carry without a permit under the bill. The bill also prohibits felons and those with domestic violence convictions or who have been adjudicated as having a mental illness from carrying a firearm. Current protections that allow private property owners to prohibit firearms from being carried are maintained under the bill. The measure also maintains the ability of higher education institutions to set their own policies regarding the carrying of firearms on campuses. Fifteen other states allow constitutional carry, and the citizens of those states have enjoyed the ability to carry without a permit in Oklahoma for years. Bordering states include Kansas, Arkansas, and Missouri. State Senator Jason Smalley (R-Stroud) is the chairman of the Senate Health & Human Services. One of the bills assigned to his committee is Senate Bill 13, the Abolition of Abortion in Oklahoma Act, authored by State Senator Joseph Silk (R-Broken Bow). Silk has been a champion for the unborn during his tenure in office, and has consistently been one of the top three most-conservative members of the State Senate by any metric (he ranked 1st in my 2016 and 2017 Conservative Performance Indexes). Most Republicans profess allegiance to a pro-life ethic when they campaign for office. Especially in conservative states and regions, it's incredibly difficult for a Republican to espouse support for abortion and win. Yet, more often than not, that resolve melts away as soon as they take office. The rate at which self-proclaimed pro-life Republican elected officials betray and wimp out on their supposed convictions is alarming. Sen. Smalley, as well as Senate President Pro Tem Greg Treat (R-OKC), both claim pro-life credentials. They have both campaigned as pro-life conservatives, and both have advocated for pro-life legislation in the past. 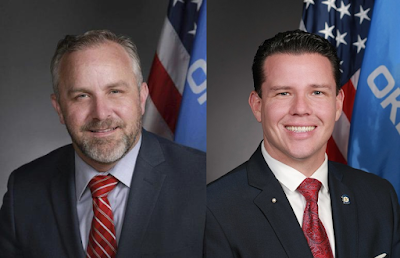 And yet, both Smalley and Treat are standing in the way of a measure that seeks the same consistent goal that they have both espoused -- the end of abortion in Oklahoma. Smalley and Treat have both told the media that they take issue with some of the language in SB13, and won't advance the measure due to that. 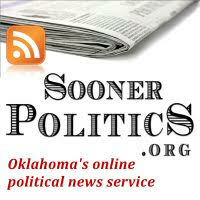 Treat told the Tulsa World "The language that was in the final, introduced version of Senate Bill 13 was very troubling". This is being disingenuous. There is nothing "final" about any language in a legislative measure until it is enrolled and sent to the Governor for his signature. If Smalley and Treat have any objections to specific language SB13, they should have the honesty to bring up the measure in committee and offer amendments according to the legislative process rather than kill the bill by purposeful inaction. Republican candidates and elected officials have been extremely willing to string pro-life voters along for as much as they can milk out of them -- volunteer hours, campaign donations, and votes. Such one-sided commitment must be reciprocated at some point, or else the relationship will not last and those candidates and elected officials will be up a creek without a paddle. Self-proclaimed "pro-life" elected officials who refuse to actually support and advance those values should be rejected by pro-life voters. In recent days, SB13 has been coauthored by a wide-ranging group of Republican Senators: conservative members Nathan Dahm and Mark Allen, and moderate members Paul Scott and Casey Murdock. I was at a recent meeting where another moderate Republican spoke favorably of SB13. If given a fair opportunity, SB13 would have a very real chance of passage in the Legislature. If the Senate passed the General Appropriations bill and sent it to the House, they would be outraged if the House dismissed it out of hand and refused to hear the measure simply because they didn't agree with 100% of the written language. Senator Treat would rightly expect the measure to receive a fair hearing and vote, as well as the opportunity to submit amendments in the normal legislative process. The dirty little secret about any legislation dealing with protecting the unborn is that secular monied interests in this state oppose it on the grounds that it "hurts economic development", gives Oklahoma "a reputation as a backwards state", and runs counter to the worldview pushed by the [East and West coast led and based] cultural and societal establishment. To Senators Treat and Smalley, I ask -- which is more important in the sight of God: the "almighty dollar", or the life of the unborn created in the image of God? Senate Bill 13 should receive a fair hearing and vote in the Senate's Health & Human Services Committee. 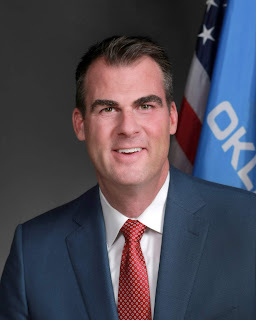 OKLAHOMA CITY (Feb. 20, 2019) — The Board of Equalization, chaired by Governor J. Kevin Stitt, on Wednesday certified $8,249,071,274 in revenues for FY 2020 appropriations, which is $574.5 million, or 7.5 percent, more than was appropriated for FY 2019.This amount is $37.8 million, or 0.5 percent, less than the December estimate. All major tax categories showed growth between the board’s December meeting and its February meeting except personal income tax, which fell $27.9 million, or 1.0 percent, and gross production taxes on natural gas, which decreased by $53.2 million, or 11.4 percent. "It's important going into the next two fiscal years that we build a state budget that is sustainable. While we did not meet the threshold for money to be deposited into the new Revenue Stabilization Fund this year, it is very likely that a large deposit will happen next fiscal year," said Secretary of Budget Mike Mazzei. “This deposit could be hundreds of millions of dollars, which means there could be no growth revenue in FY 2021." Oklahoma state government builds a 5 percent cushion into every appropriated state budget to prevent mandatory budget reductions if revenues fall below the official estimate. If revenues are projected to fall more than 5 percent below the estimate for the remainder of the fiscal year, a revenue failure is declared and mandatory appropriation reductions must occur to maintain a balanced budget. The Board of Equalization packet is available on the OMES website. Oklahoma Republicans used to tout a strong belief in local control when it comes to education. Now, seemingly motivated by pressure from the unions who run the Oklahoma education system, they are reversing course. During the budget crunch of recent years, some schools - given the flexibility of the 1,080-hours required by current law - opted to hold classes for four days a week instead of the traditional five, while still meeting the mandated amount of teaching time. Some communities appear to have preferred that setup (I even had a cleaning customer who is a teacher tell me she liked it better and that her students did better as well), but the education unions decried it and used it as part of their campaign to seek more funding. The State Senate has made it a part of their mission for this session to move the requirement back to the 180-days and remove much of the local control ability for districts to opt for the four-day school week. OKLAHOMA CITY – The Senate Education Committee approved a bill to restore five-day school weeks in Oklahoma schools, advancing one of the four agenda items of Senate Republicans. Senate Bill 441 by Senator Mary Quinn, R-Claremore, says all public schools shall be in session for no less than 180 days. Currently, schools are to be in session for 1,080 hours. The bill provides exemptions to the five-day school week if local schools can demonstrate four-day weeks aren’t adversely impacting student achievement and four-day weeks actually save the local district money. “Five-day school weeks are best for students and families. 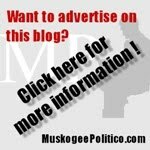 Four-day weeks have hurt Oklahoma’s reputation nationally and impaired the state’s ability to recruit new employers and jobs. Restoring five-day school weeks puts the focus on the student, where it belongs, and will go a long way in repairing our reputation nationally as we work to recruit new jobs and grow Oklahoma’s economy,” said Treat, R-Oklahoma City. “Senate Republicans are committed to keeping our word on the historic teacher pay raises and doing what’s best for students and that means restoring five-day school weeks. We also believe in the importance of local control, which is why we’ve included reasonable exemptions to the five-day week. I appreciate my Senate colleagues for advancing the bill today and look forward to moving it forward through the process,” Quinn said. No longer will we be asked to throw more tax dollars at problems without seeing a clear return on that investment. That’s good news. According to a new survey commissioned by OCPA and conducted by WPA Intelligence, taxpayers are skeptical of the old approach. Consider the new ranking of state education systems by scholars Stan Liebowitz and Matthew Kelly of the University of Texas at Dallas. They show that New York state spends more than $22,000 per student to achieve a quality ranking of 31st—while Tennessee spends under $8,800 per student and ranks 30th. What matters is not just how much you spend on schools—or any endeavor, in government or the private sector—but rather how you spend it. For those of you who are long-time readers, I've written quite a bit in the past about health-care sharing and our experience as a family with this different method of dealing with health-related expenses. Back in December of 2016, I wrote an article entitled An Overview: Health Care Sharing's Tremendous Growth, detailing the surge in participation in health care sharing after the passage and implementation of ObamaCare. Over the two months, I've gathered the latest information from the six nationally-available health care sharing ministries, but before I share the statistics let me explain what exactly "health care sharing" is, for those who are unfamiliar with the term. Health care sharing is based on a Biblical principle found throughout the Scripture (see Acts 2:44-45), with Galatians 6:2 being a key verse: "Bear ye one another's burdens, and so fulfil the law of Christ." Applying this principle to health care means Christians banding together to share each other's medical costs. While there are some minor differences among the major health care sharing ministries, the basic system is the same. Members usually affirm a statement of faith and agree to live a lifestyle that fits certain moral guidelines. Participants commit to a set payment each month, which is sent to fellow members who have submitted their medical bills to the ministry, which assigns those medical needs to specific members each month. Health Care Sharing Ministries (HCSMs) "are operated by not-for-profit religious organizations acting as a clearinghouse for those who have medical expenses and those who desire to share the burden of those medical expenses." They are not insurance, but HCSMs and their members were exempted from the insurance mandate in ObamaCare and thus paid no penalty or tax during the time it was in effect. HCSMs are legal and operate in all 50 states, U.S. territories, and even have international members (such as missionaries). HCSM members are considered cash or self-pay patients, and can generally use any physician or hospital that will accept cash/self-pay patients (some of the ministries use networks for extra savings, but they're not required). Most of the ministries also work with third-party groups to negotiate deep discounts on larger bills. Most HCSMs have limitations on pre-existing conditions, but some have more flexibility on them than others. Health care sharing in a modern sense traces back to the Amish and Mennonites in the 1960's, but in the 1980's and 1990's several new non-denominational (generally evangelical Protestant) groups started which accepted membership nationwide regardless of church affiliation, provided they agreed to the statement of faith and guidelines (as mentioned previously). According to the Alliance of Health Care Sharing Ministries, HHS lists 104 known and active health care sharing ministries, 97 of which are Mennonite/Old German Baptist churches or associations with closed membership. Most have fewer than 100 members. There are currently six main, nationally-available HCSMs. Christian Healthcare Ministries began in 1981. In 1993, Christian Care Ministry started Medi-Share. Samaritan Ministries started sharing in 1994. Altrua HealthShare (2000; 1997 through merger), Solidarity HealthShare (2012; 1990s through affiliation), and Liberty HealthShare (2013; 1995 through affiliation) started sharing more recently, but are affiliated with older groups in order to qualify under the ObamaCare restrictions on HCSMs (continual existence since before 2000 is one rule). According to a paper published by the Charlotte Lozier Institute last December, there were just over 100,000 participants in HCSMs in 2005. Growth since that time has been exponential, particularly since ObamaCare began to be implemented. I reached out to the six aforementioned ministries and obtained some statistical information to share about their recent increase in participation. We'll now examine the membership stats and brief cost explanations for each of the nationally-available HCSMs, going from largest to smallest. As of December 2018, there were about 411,600 individuals participating in Medi-Share; in December 2016, there were 212,400 members. There are currently about 6,800 members in Oklahoma, up from 3,170 in December 2016. Monthly membership costs with Medi-Share are quite a bit more complicated than with the other HCSMs, more like typical health insurance. It depends on age, health, and varying initial unshareable costs ranging from $1,000 to $10,500. It looks like it ranges from a low of about $44 (single aged 18, healthy, $10,500 personally responsible before sharing) to a high of about $1,246 (head of household aged 64, 3+ member family, $1,750 pre-sharing). Medi-Share has no per-incident or lifetime cost limits. Christian Healthcare Ministries was not particularly helpful in responding to my inquiry, and was especially reticent when it came to membership figures, saying "here is our policy on discussing numbers: we don’t" -- although a blog post on their site last month said they have "are serving nearly 400,000 Christians". In December 2016, they had somewhere between 150,000 and 200,000 members. 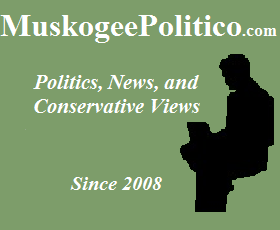 They had "over 3,000 members" in Oklahoma in 2016, and would not indicate current levels, but judging from growth rates they likely have around or more than 5,000 Oklahoma members. Monthly membership costs run from a low of $45 (one individual on 'Bronze' program) to a high of $450 (family of three or larger on the 'Gold' program). CHM's initial unshareable Personal Responsibility cost is $500 per incident for their 'Gold' level, to $5,000 per incident on 'Bronze'. All three levels share up to $125,000 per incident. CHM also offers Brother's Keeper, an additional giving program that raises the per-incident cap to unlimited for Gold members, and adds $100,000 per year to the Silver/Bronze $125,000 per-incident cap up to a maximum of $1,000,000 (in year 10). As of December 2018, Samaritan Ministries had about 264,000 individuals participating; in November 2016, there were 209,650 members. There are currently about 4,500 members in Oklahoma, up from 3,425 in November 2016. Monthly membership costs run from a low of $100 (single individual under age 30 on Basic, the lower membership level) to a high of $495 (family of 3+ individuals on Classic, the upper membership level). Samaritan's Classic membership level has a $300 initial unshareable cost (pre-discount) and a per-incident cap of $250,000, while their Basic membership level has a $1,500 unshareable cost (pre-discount) and has a $236,500 per-incident cap. Samaritan also offers Save To Share, an additional giving program that raises the per-incident cap to unlimited. Members of Save To Share set aside between $133 (single individual) and $399 (3+ family) each year for use if needed by other Save To Share members. As I've mentioned before, my wife and I have been members of Samaritan Ministries since shortly after getting married in 2012. Liberty and Solidarity are affiliated organizations, with Liberty being the larger of the two. Solidarity is exclusively for practicing Catholics. The two groups comprise the "National Coalition of Health Care Sharing Ministries", which administers Solidarity and helps with their operations, utilizing Liberty's wider experience. As of December 2018, they had a combined total of 236,000 members; in November 2016, there were about 90,000 individuals participating. They have about 3,000 members in Oklahoma, up from 1,000 members in late 2016. Monthly membership costs run from a low of $199 (single individual under age 30 on Liberty Share, their lowest level) to a high of $529 (head of household aged 30+, 3+ member family on Liberty Complete, their highest level). Their initial unshareable cost ranges from $1,00 for an individual to $2,250 for a family. Per-incident caps range from $1,000,000 on their highest level to 70% of eligible medical bills up to $125,000 on their lowest level. Currently, Altrua HealthShare said they have about 20,000 individuals participating; in December 2016 there were about 25,000 members. Altrua originally began as a Mormon-oriented HCSM in 2000, but changed structure and leadership in 2005 to became non-denominational in reach. They currently have about 300 members in Oklahoma, which was the same figure I was given in 2016. Altrua seems to be the only nationwide HCSM that has not grown. Monthly membership costs run from a low of $100 (single individual on 'Copper' program) to a high of $874 (family of 3+ members on 'Gold' program). Their initial unshareable costs are a bit complicated, but range from $500 to $7,500 on the first submitted need, and $2,500 to $5,000 on the second need. Altrua has lifetime sharing limits of $1,000,000 to $2,000,000, with annual caps of $150,000 to $250,000 for their lowest two levels. Following up from my 2016 survey of the state of Health Care Sharing Ministries, we see continued and significant growth among the nationally-available groups. They have all benefited significantly from the turmoil of ObamaCare and the individual mandate exemption available for HCSM members. There are now over 1,300,000 individuals participating in health care sharing in these six ministries (not counting the smaller localized Amish/Mennonite groups), almost double the 712,000 in late 2016, and 13-times larger than the 100,000 members in 2008. The upward trend in HCSM membership began in 2010, picked up speed through 2014, and rocketed skyward from 2014 to 2016. Major growth has continued since then, albeit at a slightly lower pace. The years with asterisks are dates that I have been able to find few official figures from, and are primarily filled in by the general trends (the other years are actual statistical numbers from the ministries). 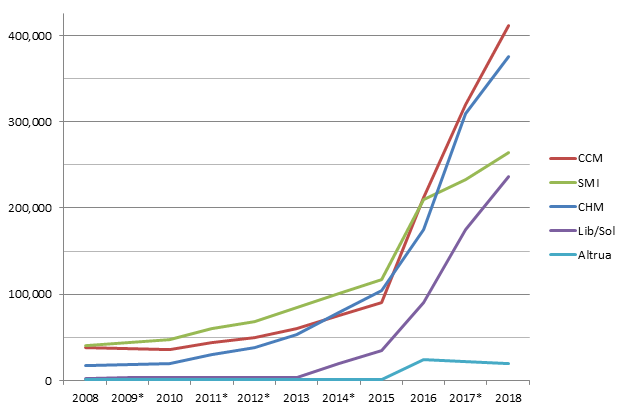 There has been an increase of about 1,200% since 2008, and membership in these six HCSMs has nearly doubled in just the last two years. Not included in these figures are members of the several dozen other organizations who have no online presence, predominately small, localized churches and ministries in the Amish and Mennonite communities. Taking these additional ministries into account, there are likely near 1,500,000 Americans participating in health care sharing organizations across the nation. Approximately 18,000 to 20,000 Oklahomans are members of one of the six health care sharing ministries I surveyed, up from around 11,000 in 2016. When I reached out to the different ministries, I asked them two questions dealing with challenges facing health care sharing ministries, and legislative action that could help members of HCSMs. Here are their responses. Q: What do you perceive to be the greatest challenges facing HCSM growth? The biggest challenge has always been the cultural mindset it takes to switch from insurance. Samaritan Ministries is not insurance and society has an insurance mindset. Making the move from insurance to Samaritan takes a shift in thinking. We take great pains to make sure inquirers understand that Samaritan is not insurance, so that also naturally dampens rapid growth. Also, growth has slowed because there are more options for Americans because of regulatory changes to short-term plans, associations plans, and the economy improved leading to more employment and employer-provided insurance. The greatest challenges facing HCSM growth are a lack of awareness of this option, and the need to build the capacity to better serve larger numbers of members. We were the first to begin using TV to market the health sharing option, and we are intensely focused on growing our capacity to process and pay bills in two months and to answer all member calls, as well as making it easier for members to interact with us and stay informed about how their costs are being shared online. We are also assessing additional options to make health sharing more holistic and customizable. While there are bound to be changes in healthcare reform and the healthcare market will continue to evolve, our members will continue to faithfully pray for one another and share in one another’s healthcare burdens, just as they have for the past 25 years. One of the biggest, if not THE, biggest enemies we have is the insurance industry and the insurance regulators thinking we are getting too big. They both are determined to shut us down because some of us have been bragging and seemingly gloating about how fast we are growing and how big we are. This is not just a problem, it is the biggest threat to our existence that currently exists. Q: Are there specific legislative measures that you would like to see passed on the topic of Health Care Sharing Ministries? What are you doing to help push that along? In the states, we would like to have clarification in their insurance codes that health care sharing is not insurance. That clarification is already in 30 states and we look for opportunities to expand that in the future where possible. Also, tax parity on the state and federal level to allow members to deduct their shares on their income taxes. Additionally, access for members of health care sharing ministries to Health Saving Accounts (HSAs). Congressman Mike Kelly (R-PA) and Collin Peterson (D-MN) previously introduced bipartisan legislation, H.R. 2310, which would amend the IRS code to allow health care sharing members to utilize HSAs. We trust that the legislation will once again be introduced in the next session of Congress. The Trump administration is revising the rules for HRAs. We’ve advised HHS and other agencies of the federal government that inclusion of HCSMs as a viable alternative for employers offering HRAs to their employees honors the free exercise of religion, as well as accommodating religious conscience. Under the Religious Freedom Restoration Act, agencies of the federal government have broad discretion to include people of faith in their rule making. Integrating HRAs with HCSMs would accomplish an accommodation of religious practice in healthcare. Further, some states (i.e. VT) are considering instituting their own insurance individual mandate. We have testified before state committees and advised the state agencies to include an exemption for HCSMs, following the federal model in the ACA. We recently hired a Government Affairs & Policy Representative who is monitoring healthcare legislation and regulation at the Federal and State levels to ensure that our members’ needs are represented. We are not pursuing legislative initiatives. That doesn’t mean we won’t act to protect our members to preserve their ability to exercise this freedom of religious faith or if we feel action is in their interest. Health care sharing is a mature health insurance alternative that has been proven viable by decades of use and billions of dollars worth of medical bills shared. In this era of constant changes in health care and health insurance, it's an exciting option for Christians to consider. Tens of millions of dollars worth of medical needs are shared each and every month by one-and-a-half million individuals across the country, testifying to the fact that this really does work. My wife and I are members of Samaritan Ministries, and it works for us. I have friends or relatives who are members of Christian Healthcare Ministries, Medi-Share, and Liberty HealthShare, and have heard positive things about each ministry. Sharing works! You might not be aware of it, but you probably know members of health care sharing ministries yourself. Regardless of the ministry, these are all good options that should be looked into. If you are interested in more information about health care sharing, or the specific ministries I've mentioned in this article, feel free to utilize these links, or contact me via email. Alliance of Health Care Sharing Ministries: Samaritan Ministries, Medi-Share and CHM are members of this public policy organization to advocate and provide information about health care sharing to government officials and the general public. Health Care Sharing Ministries: An Uncommon Bond, published by the Charlotte Lozier Institute, is an informative 35-page report on HCSMs and the savings experienced by members. My personal experience with Samaritan Ministries: three different medical needs in six years, about $102,000 in medical bills were shared in full by over 110 families across the country. If you look into Samaritan and decide to join, I'd appreciate being listed as your referral (we get a credit), if you've found my information helpful. The other ministries also give referral credits, so if you decide to join a different ministry, I may know someone you could list in that ministry as well.